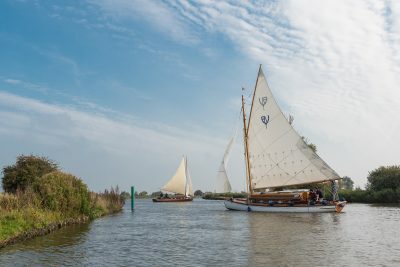 Traditional industries played a large part in the history and development of the Norfolk Broads, and this day is designed to help you discover something of the impact these activities have had on the landscape, people and wildlife over the centuries. 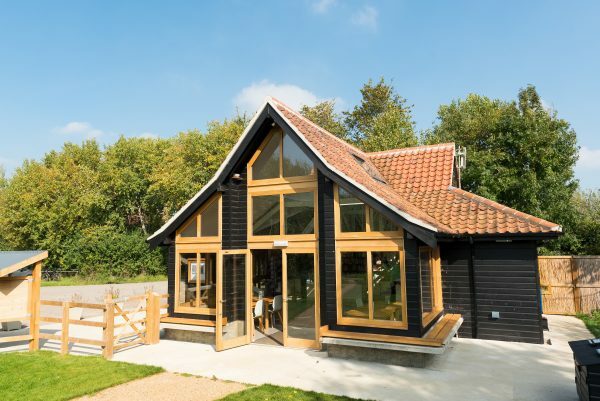 Our suggestions will take you to Hickling Broad, the largest peat working in the Norfolk Broads, owned and managed by the Norfolk Wildlife Trust, for a not-to-be-missed guided tour of the Broad, its history and wildlife; lunch at a traditional pub; followed by an afternoon stroll (around 4 miles) along the Weavers Way, now a long distance footpath, but in ages past a route for weavers and their products stretching from Cromer to the markets and port at Great Yarmouth, to a modern expression of this craft tradition at a local pottery. 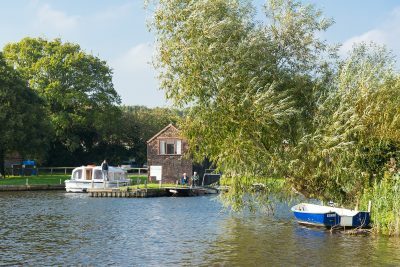 Remember to take a hat, sunscreen and warm clothing as the boat trip can be breezy, even on a sunny day. 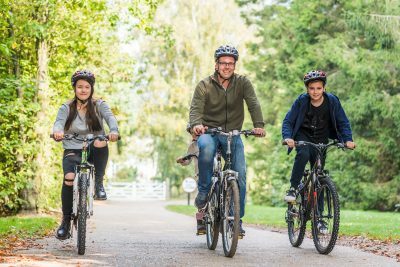 The boardwalk trails at the Wildlife Trust are suitable for disabled access. 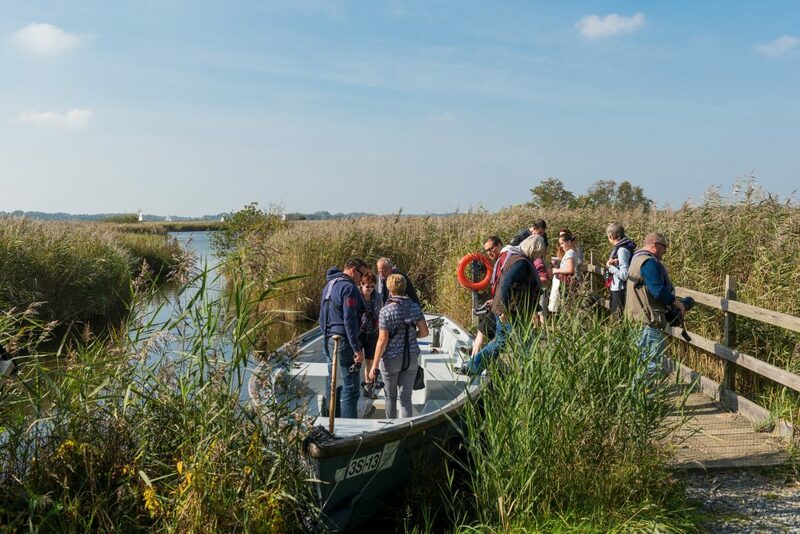 • The trip is undertaken on a traditional electrically powered reed lighter, and provides a varied and comprehensive exploration of the Broad, its history, wildlife, hidden areas and conservation – just wonderful! 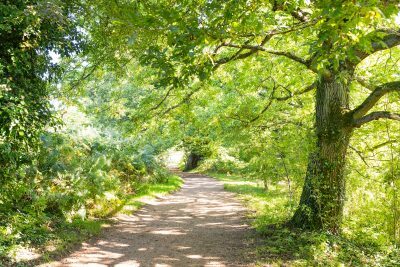 • After lunch, leaving your car in the village, why not walk off those pounds with a gentle stroll along the Weavers Way, using the quiet lanes around the village. 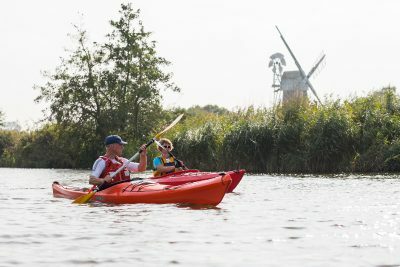 • Turn right outside the pub, and take the first left, and you will pass Sutton Mill, the tallest windmill in England, although it is now closed to visitors. 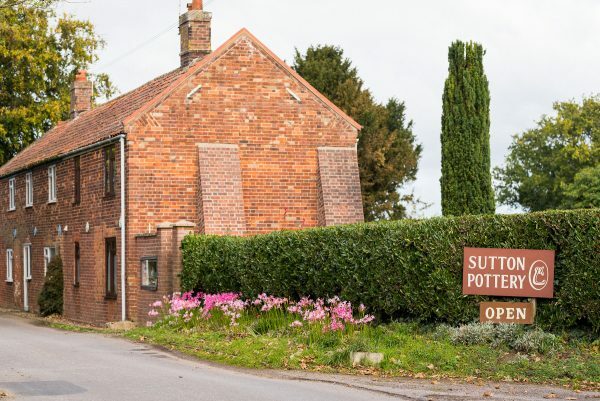 • Once past the Mill, turn left at the crossroads and this lane will bring you to Sutton Pottery, a small but busy studio, run by Malcolm Flatman. 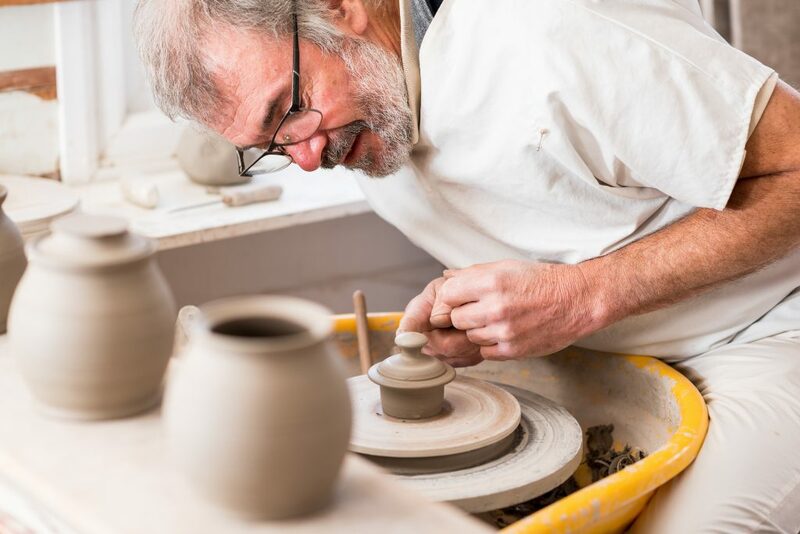 Malcolm specialises in beautiful, functional home ware, together with some decorative pieces and is happy to welcome visitors Monday to Friday. 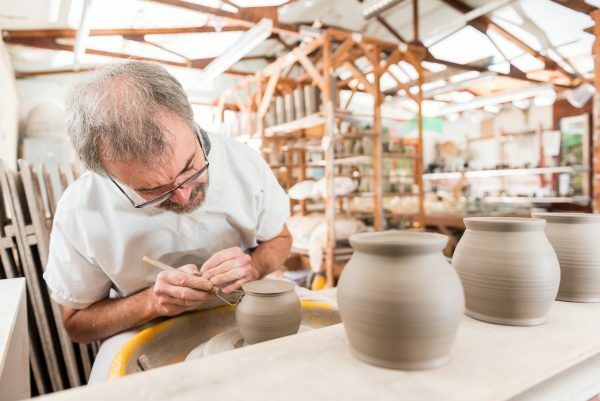 Should you wish to place an order, he can even send your pots by post! 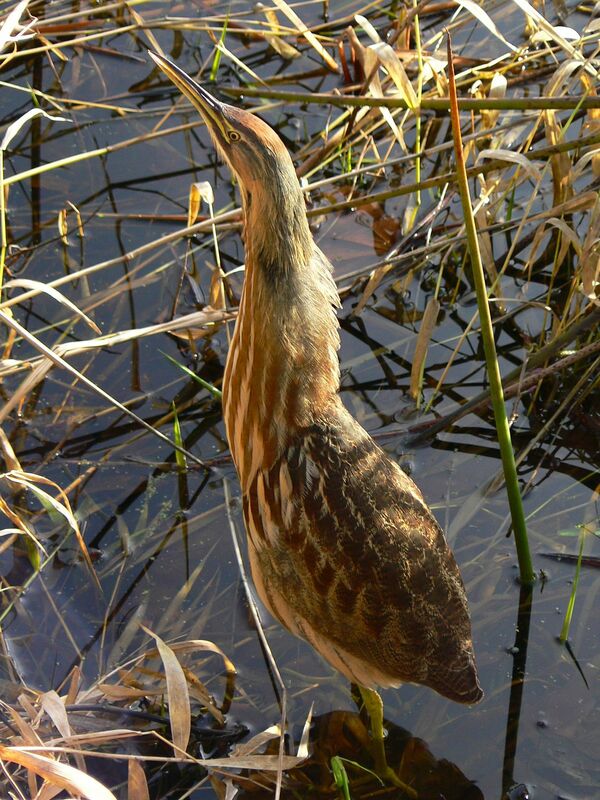 Now one of the rarest birds in Britain, it requires seclusion and a habitat of reedbeds in order to breed. Hickling is one of the few locations managed in a way as to encourage these elusive birds.